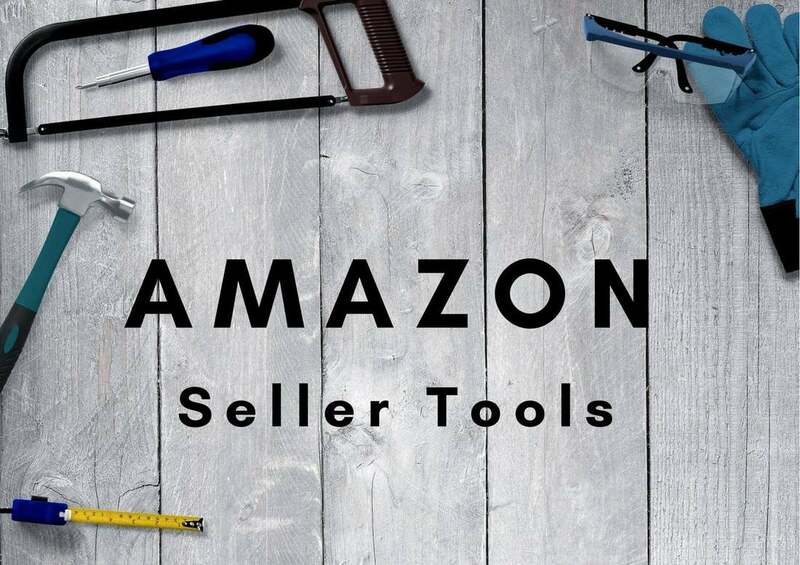 I get asked almost everyday to recommend the tools I use for Amazon product research and keyword analysis, so here's a reference list that hopefully helps you choose the right tools. Jungle Scout - Chrome Extension (onetime fee). Helium 10: A suite of 13 tools (monthly subscription). Viral Launch: Includes 3 tools in my Pro Plan - Product Discovery, Market Intelligence and Keyword Research (monthly or annual subscription). While Helium 10 and Viral Launch seem rather expensive, I have found them to be well worth the cost, as editing my listings based on the much more accurate data from Helium 10 and Viral Launch has had a huge impact on my Amazon sales - leading to a 49% year-on-year increase in sales since using these 2 tools in 2018. The big difference is the accuracy of the data, especially sales estimates and exact search term volume. Data from all the other tools are too inaccurate to be useful. With better sales estimates and keyword data, I have been able to precisely optimize my listings, thus improving their search rankings significantly. As a result, I have also unsubscribed from the other tools. This saves me quite a bit of money to help offset the cost of Helium 10 and Viral Launch. It also saves time, making my research and analysis more efficient as I only research using 2 tools, instead of having to jump around to many different platforms. Over the last 6 months, I've found myself using only Helium 10 (H10). This is because it's gone through several huge upgrades and now includes all the tools and functions that used to be only available from many separate tools. ​Amazon search results page listing analysis: Jungle Scout's Chrome Extension was a pioneer in developing a tool that showed all the relevant stats for an Amazon search page in table format for quick and easy analysis, then Viral Launch added this with their Market Intelligence Chrome Extension tool. Now Helium 10 also has the same feature with their X-ray Chrome Extension tool. I've found Helium 10 X-ray and Viral Launch to be more accurate. And Helium 10 X-ray has the advantage of being much faster than Viral Launch Market Intelligence (think 3 seconds vs 30 seconds). Jungle Scout (JS) essentially has 2 main tools that are sold separately. A Chrome extension for Amazon search results listings analysis and what they call the Web App which is a reverse search of the Amazon catalog using a set of filter you can set such as price range, reviews quantity and rating, categories, sales revenue, etc. These filters help to shortlist product that meet a combination of your requirements such as sales volume, price range, low competition (based on review count and rating), etc. Viral Launch (VL) has 3 tools. These are Product Discovery, Market Intelligence and Keyword Research. Viral Launch's Product Discovery and Market Intelligence tools are equivalents of Jungle Scout's Web App and Chrome Extension respectively. But both Viral Launch's 3 tools and Jungles Scout's 2 tools pales in comparison to Helium 10 which started as a set of 10 tools but has been continually improved with upgrades to the original 10 tools as well as the addition of new ones. The latest tools added to the Helium 10 suite are Black Box and X-ray. H10 Black Box is equivalent to VL Product Discovery and JS Web App. H10 X-ray is equivalent to VL Market Intelligence and JS Chrome Extension. Cerebro - a super powerful and useful tool to reverse search any ASIN to see all the keywords and exact search volumes the listing is indexed for. Cerebro Product Rank formula - to calculate the sales quantity required to rank on page 1 for sales attributed to a keyword search term. This is key to determining the quantity required if running product launches/promos to rank organically for targeted search terms. Keyword Tracker - to track the search results rank of keywords for listings. Refund Genie - to pull out lost and damaged FBA inventory reports for which Amazon owes you reimbursements (fyi, I've gotten back over $10,000 in reimbursements as a result of writing to seller support with the required reports). Want to try out Helium 10? Use promo code JASONTAYONLINE50 to get a 50% discount off the first month's subscription. Use promo code JASONTAYONLINE to get a permanent discount of 10% off Helium 10 subsequently after the first month. 1) Jungle Scout (JS) - Best for quick initial analysis of Amazon search results page. JS Chrome Extension (use the link above to get USD10 OFF the one-time fee. I have used 3 of the above, but not Splitly. Currently the only one I currently use is the JS Chrome Extension to quickly analyze estimated sales velocity, competition (review quantity and quality), price and net profit. I only use JS Chrome Extension for my initial analysis - mainly because I paid the onetime fee for it 4 years ago and it is fastest to load results. However Jungle Scout's sales estimates are not really accurate so I use it mainly to look at profit after Amazon fees, competitor analysis (number and rating of reviews), and a general gauge sales velocity. After I shortlist a product, I always use Helium 10 (Cerebro) to look for search terms to target, and Viral Launch (Market Intelligence and Keyword Research) to validate actual numbers as they provide much more accurate data than JS. 2) Helium 10 - Best for analysis of Amazon search results page (equivalent to Viral Launch Market Intelligence and Jungle Scout Chrome Extension tools), reverse ASIN keyword research, keyword rank tracking, copywriting tool, calculating sales velocity need to rank at the top for specific keyword search terms. ​A suite of more than 10 tools. This is the main software suite I use for all my keyword research and product launch/promotion calculations. Cerebro: for Reverse ASIN searches to find keyword data (Exact Search Volume) and the calculated sales velocity needed to achieve high page 1 rank. ​Keyword Tracker: to track the exact search volume and search results rank for search terms that each of my listings is ranking for. This is a tremendous help in knowing which search terms I should target in order to drive traffic and sales. Scribbles: To help write an optimized listing without missing out important keywords. ​​Refund Genie: To download lost, damaged FBA inventory reports that can be submitted to Amazon Seller Support for reimbursements. You can also check my Helium 10 Review for more details and use coupon code JASONTAYONLINE50 to get 50% off the first month's subscription. After that, use JASONTAYONLINE to get 10% off Helium 10's subscription price permanently after the first month. 3) Viral Launch - Best for analysis of Amazon search results page (similar to Jungle Scout Chrome Extension but with much more useful and more accurate data), and keyword research (similar to Merchant Words but with much better suggested relevant keywords and much more accurate and usable exact search volume). For newbies, I suggest starting with the free Chrome extension. Click on the link above, then go to SOLUTIONS>MARKET INTELLIGENCE>Try For Free. Create an account and click DOWNLOAD THE FREE CHROME EXTENSION. Amazon's free cost calculator. Key in your price, cost, product weight and dimensions and it will calculate the profit margin after deducting Amazon fees. Key in a product title or ASIN, your selling price and estimated prep and inbound costs to calculate your potential profit. There are several extensions for Chrome or Firefox to open the FBA Revenue Calculator directly from an Amazon product page with the product info pre-fillled. I love this plug-in which allows me to work faster by eliminating the process of switching browser tabs, copying and pasting ASINs. This chart is produced by My Silent Team - Proven Amazon Course. Use this to estimate sales volume. Simply key in the best seller ranks (aka sales rank) in the appropriate category to get a rough idea of the sales per day. I like to buy about 1 month’s stock so I will estimate sales per month by calculating the estimated sales per month and divide that by the number of FBA sellers with a competitive selling price. To research deeper, add a competing seller’s products to your cart and then Edit Cart to 999. If the seller has less than 999 units in stock, it will then show you the stock quantity. Use this to look at Price and Rank History. Note Price does not show any shipping costs for Merchant Fulfilled (MF) sellers. I especially look at rank history when making a new wholesale order for a product. Free Chrome Extension with similar features to Jungle Scout Chrome Extension. The sales velocity (volume) estimates are not accurate. I have 1 SKU that sells 100+ units per month, Unicorn Smasher estimates my sales at 5 units per month! Duh! I don't use this as I found the numbers to be more inaccurate than Jungle Scout and it includes add-on features that often caused my browser to freeze while loading Amazon product detail pages. So irritating that I uninstalled it even though it was free. I used this for 4 year because it was cheap and there weren't many keyword tools for Amazon back in 2014. I found it quite good and got an annual subscription in 2017. However I will not be renewing as I've found the estimated search volume isn't accurate enough to be really useful and the product discovery tool is horribly buggy to the point that it is not usable. D.I.Y. - Shoot with DSLR/phone camera + a plain sheet, or a simple photo box on Aliexpress/Taobao/Lazada, or rent free photo studio makerspaces at Jurong or Tampines library. Ask supplier for pictures or agent to arrange photography. Cheap photography (from USD5) - Search for Amazon Product Photography on Fiverr. Image Enhancement (up to USD129) - Amazing Freedom Magic Image Service. Top-notch photography (USD697.99) - Pixel Perfect Photography. Recommendation: Start with D.I.Y. or cheap photography, then optionally add Image Enhancement. To count the number of characters (so you don't exceed the limits set by Amazon) and convert text to basic HTML.